In the last couple of months, as the organic reach of brands' Facebook posts plunged, some agency and marketing leaders have engaged in a game of blame shifting that I find distasteful and disingenuous. 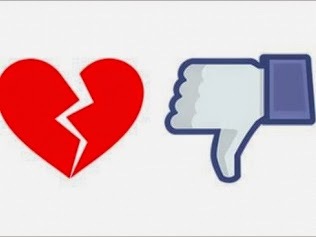 'Facebook lied to us" seems to be what many marketers are saying; in fact, this is specifically what one company, Eat24, said as it deleted its Facebook fan page. A media executive accused Facebook of "one of the most lucrative grifts of all time" for, supposedly, urging brands to "purchase" fan bases and then charging those same brands to reach their fans through paid media. "Marketers feel tricked," my Forrester friend Nate Elliott recently noted. To be sure, the decreasing opportunities in earned media have put agencies and marketers in an uncomfortable spot. For years, agencies promoted and marketers purchased programs to build fan bases on Facebook, and once that was accomplished, those same agencies and marketers invested still more money to exploit those fans with games, contests, real-time marketing newsrooms and content strategies. There has been a great deal of investment in "earned media" strategies on Facebook that now show little promise with paywalls going up and organic reach plunging. Who is to blame if those strategies were ill advised and the benefits of earned media were overstated? Everyone with a frustrated boss or disenchanted client raising questions about Facebook's dwindling organic opportunities are certainly quite clear: Blame Facebook! Did you think social media changed basic consumer attitudes toward brands and marketing? Did you suppose that consumers who avoid marketing communications in every medium--skipping TV ads and abandoning commercial radio for subscription music services--where going to suddenly gravitate to brand content in social media? What did you anticipate would occur as more brands pumped more content into Facebook? As brands multiplied and marketing posts expanded, did you imagine consumers would push aside their family and friends in order to embrace ever more marketing content? Or did you anticipate that your content was going to be that much better and more engaging than everyone else's, not just within your industry but across every brand, celebrity, news source and friend that your fans liked? Who told you could reach most of your Facebook "fans" in the first place? When Facebook announced EdgeRank four years ago, did you understand what it meant to your organic reach? Did you recognize the significance of Facebook's announcement two years ago this week that Pages organically reach just 16% of their fans on average? Where did you get the impression that your brand could get free access to more of your fan base--was this expectation set by Facebook or by a vendor or agency? Did you believe Facebook would set aside its own financial goals in order to help your brand achieve its goals? Did you expect Facebook to frighten off users by turning their news feeds into a constant flow of marketing communications at the behest of marketers? Or was it your expectation that your brand could make free money on Facebook while Facebook itself set aside its own financial objectives? Who told you that harvesting large numbers of fans was the right strategy? When you were sold on a dubious program of giving away crap in Farmville or forcing disinterested people to "like" your brand in order to enter your sweepstakes, who was sitting across the marketing conference room table--was it Facebook execs or sales folks from an agency or vendor? Perhaps someone can dig up a rare Facebook post or some old Facebook sales deck that demonstrates the social network misled marketers, but I doubt there is much damning evidence to be found. At worst, Facebook seems guilty of failing to discourage inflated marketer expectations. (Of course, it was in its best interest not to.) Conversely, it is easy to find thousands upon thousands of blog posts, tweets and Slideshare decks from agencies, consultants and vendors painting an unrealistic picture of the future of earned media on Facebook and other social platforms. Heck, as recently as three months ago, marketing media and agency bloggers were tripping over each other to praise the ridiculous Esurance Super Bowl Twitter sweepstakes, congratulating the brand for useless fans and valueless tweets. (In the months since, the brand has lost half of its new fans and is getting less engagement than before the misguided promotion.) This sort of mentality--than any fan, any post, any engagement drives brand value--is precisely what led us to the current level of disappointment in Facebook. Even as agencies and marketers are coming to realize the reality of earned media on Facebook, they are repeating the same mistakes in other social platforms! Today, social media marketers are waking up with a Facebook hangover. They binged, partied, drunk-dialed consumers, posted regrettable selfies and damaged relationships while under the influence of free marketing via earned media. In the harsh reality of the morning after, it is easy to blame the bartender, but Facebook wasn't the one doing keg stands with your brands' content for the last several years. "It's Facebook's fault" may be a convenient and safe excuse, but taking responsibility is the first step to a cure. Blaming Facebook may get marketers or agencies off the hook today, but if they repeat the same mistakes in Twitter, Google+, Instagram, Snapchat and the like, they will only end up with same painful hangover. Today's unpleasant realization about organic opportunities on Facebook is not just a problem but a golden opportunity to reconsider social media strategies across all platforms. Marketers tested and they learned--the only failure at this point is to expect different results from the same strategies on other platforms. As noted in my last post, I urge marketers to consider what it means if everything they understand about social media marketing is wrong. Rather than assign blame, now is a good time to take a fresh look at what social media is doing to brands rather than what it can do for brands. That is the mindset that can lead to a new, different and successful course for your brand's future social media strategies. You, sir, are on a roll, lately. Another nail hit squarely on the head. Agencies and self-appointed Social Media gurus who stand to profit by promulgating false hopes and misinformation need to be exposed as the snake oil salesmen they are. These are some hard truths. Thanks for having the courage to make them heard. Thanks Tom. I appreciate that! It's ironic, considering I've given some consideration to sunsetting my blog. I'm an addict and don't know if I can stop, but I sometimes wonder if I am preaching to the choir rather than converting the lost social media sheep. Moreover, now that I am no longer an agency employee or analyst, I question if my candor is good for my career. Still, I enjoy doing it, and comments like yours keeps me coming back for the time-consuming task of writing, researching and editing my blog. Thanks so much for the support! But no disagreement on my part to either of you. Thanks for the heads up, Ken! "Moreover, now that I am no longer an agency employee or analyst, I question if my candor is good for my career." Say it ain't so, Augie, but thanks for your honesty. That's an interesting and unfortunate statement. You're by far the most insightful social media analyst and speaker I've heard. When I go onto Facebook, I do not want to see brands pretending to be my friend, telling me jokes or sharing pictures of kittens. I do not think I am unique. Bottom line that is common sense, and marketers should have realized the false world we lived in for a while. Shame should be on marketers that spend the past 2-3 years on false highs. That said, I was on a job hunt not long ago, and it took me a lot longer to land something--or even an interview--than I would have expected. I got some coaching that, perhaps, my blog may create some recruiters to think twice because 1) I have been honest about my feelings toward content marketing and social media marketing, and employers want someone more "optimistic" (i.e., deluded), and 2) My blog and online presence may cause a potential employer to question whether my loyalties lie with the people paying the paycheck or my own online brand. I don't think I'm going to stop blogging, but I have been spending more time to consider what the value (or drawbacks) of it may be to my career. Hard work is ahead for most brands! In addition to Facebook and the social media "experts" who hyped social media's possibilities beyond any real hope of redemption, let's spare a thought for the clients. They loved what they were hearing so much (deep, lasting engagement at almost no cost) that they ignored all the red flags. I can say from grim, personal experience it wasn't popular to suggest clients avoid overinvesting in social media channels because they don't own the platform or the results of their efforts (you can take a "like" with you to a new platform). Or that they couldn't abandon all their traditional efforts in favor of "free" social media channels. As someone who's always warned clients not to put all their [PR, social, marketing] eggs in someone else's basket.. Word. The binge then blame the bartender analogy, that pretty much sums it up. How easily did we develop banner blindness, how quickly do we X out those popup ads to get where we really want to go? People are people and we don't like to be sold, don't want our entertainment or content interrupted w/ someone else's crappy (or even, "entertaining") marketing. And whilst I totally agree w/ you I also have to put at least some blame back at the brands who fell for it, who thought they could take something that was for friends and family and fun, turn into an advertising channel.. expecting magical results no less. They kept ordering, drink after drink, with only a hangover and hefty bar tab to show for it. I just don't think it's not entirely the fault of the bartender; I know when I'm over-served, I accept my share of responsibility as I reach for the Advil. FWIW. Thanks so much for the comments. I had no intention of laying blame on consultants and agencies and leaving the clients themselves blameless. I could not agree more with your thoughts on that point--marketers heard what they wanted to hear and rejected the voices elevating the risks and challenges. There is no problem so great in marketing as professionals who want to believe the easy story--people LOVE your brand; they LOVE marketing content; they CANNOT WAIT to advocate on your behalf; fans are EASY to collect; every fan is VALUABLE; etc., etc., etc. Augie, in an odd way, this reality is good news for marketers. If you could employ an intern and post pretty pictures and jokes and customers would fall over themselves to buy your products, why do you need expensive marketers? Terry, That is a very nice way to put a very positive spin on my post. Thanks!